Which Substances Do Ohio Students Use? Which Substances Do Ohio Students Use? Students Which Substances Do Ohio Students Use? Substance abuse is a major issue for many in Ohio, and students are no exception. While alcohol is a common substance for both high school and college students to experiment with in Ohio, the two groups may vary when it comes to harder drugs. However, young adults as a whole are likely to experiment with or use drugs, so ensuring that they understand the consequences and risks associated with substance use is key. And while drugs and alcohol addiction can ensnare Ohio students, there are resources available throughout the state and beyond to help young adults overcome addiction. Prescription stimulants like Adderall are increasingly popular among college students and young adults. Designed to treat conditions like ADHD, stimulants can help with focus, concentration and alertness when taken as prescribed. Although these medications are helpful for some, they have become an issue for many in recent years. 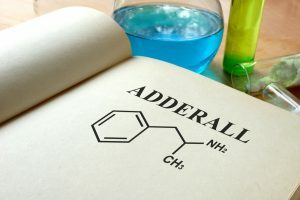 Prescriptions for Adderall and similar stimulants have decreased over the years, but nonmedical use has increased by 67 percent. A recent report from John Hopkins University shows that of those 12 and up who use Adderall for nonmedical use, 60 percent are between the ages of 18 and 25. Prescription stimulants are among the more popular college drugs, often thought of as harmless by students since some peers use them for legitimate reasons. Many students get them from family or friends and use the pills to focus or study. Adderall, Ritalin and other stimulants are most popular during finals, when stress is high and concentration is key. But instead of helping them succeed, prescription stimulants often lead college and even high school students to addiction as occasional use becomes recreational. And while college students are the highest consumers of stimulants, high school students are not immune. Because many children grow up taking these prescription drugs, it’s easier for teens to accept the substances as safe and even helpful, instead of understanding them as dangerous drugs that should only be used under the supervision of a doctor. A short-term antidepressant that releases serotonin in the brain, ecstasy has been a long-time favorite of young adults in the United States, including Ohio. Ecstasy, also known as MDMA, is usually distributed in colorful tablets, often printed with familiar pop-culture references or logos. For those who use drugs in college, ecstasy is often one of the first purely recreational drugs used. Often associated with its powder form, “Molly,” ecstasy is widely popular as a party drug and is often found on college campus and music festivals. The Ohio Substance Abuse Monitoring Network (OSAM) reports that “Molly” is more widely available in Ohio than its tablet counterpart. In the 2016 report, OSAM reported that the Athens, Cincinnati and Youngstown regions have all seen a spike in ecstasy availability. With a generous student population in each of these cities, the increase comes at no surprise. Ecstasy is one of the leaders in recreational college drug use. But using ecstasy to experience a high is often met with severe side effects and negative consequences, including anxiety, paranoia, vomiting and addiction. While it may be popular, ecstasy is not worth the potentially life-threatening risks that it carries. You’ll look back at this moment. Make it a good choice. A cultural tolerance for and legality in other states have continued to change student perspectives on marijuana over the past several years. 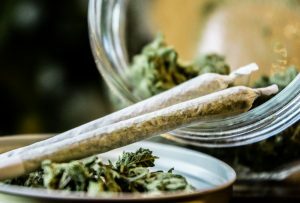 From 2013 to 2014, 75.3 percent of Ohio adolescents between the ages of 12 and 17 reported that they perceived no great risk from smoking marijuana. Between 2010 and 2011, only 70.6 percent saw marijuana as relatively harmless. This perception can contribute to high school drug use and subsequent addiction. But marijuana is not as harmless as some teens and young adults may think. The National Institute on Drug Abuse notes the negative effects of drugs on high school students, particularly marijuana. At least 48 studies suggest that students who use marijuana have poorer educational outcomes than those who do not smoke. There are a variety of side effects, including impaired learning and coordination, sleep problems, potential addiction and even lowered IQ. Marijuana is also popular in combination with other substances. One respondent from the 2015 OSAM report said, “Whatever drug people use, they will use marijuana with it.” When it comes to drug use among college students, marijuana is often at the top of the list, and coincides with other drug use. Combining multiple substances like marijuana and other illicit or prescription drugs can increase overdose and other risks among both high school and college students. For many, underage drinking is a rite of passage in high school or college. It’s showcased in movies, television and music. While consuming alcohol is illegal for those under the age of 21 in the United States, many young adults don’t see an issue with underage drinking. According to the 2016 SAMHSA Ohio Behavioral Health Barometer, roughly 6 in 10 adolescents between the ages of 12 and 17 said that they perceived no great risk from consuming five or more drinks once or twice a week. Like marijuana, many students perceive alcohol as “no big deal,” despite the negative consequences on the developing brain of minors. Despite the casual attitude that is often associated with alcohol, adolescent binge drinking has decreased in Ohio over the years. From 2013–2014, 15.3 percent of Ohio teens reported binge drinking, down from 17.4 percent from 2010–2017. 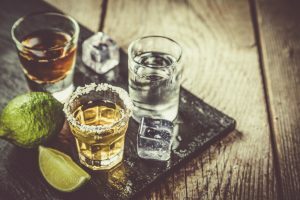 While it’s a step in the right direction, it still highlights the cultural attitudes and misunderstandings surrounding alcohol. Although high school and college drinking is sometimes accepted as a cultural norm, teaching responsible and legal alcohol consumption is the first step toward eradicating dangerous behaviors like binge drinking and drunk driving for minors. Both college and high school students are susceptible to prescription opioid addiction. Pain medications like Vicodin, OxyContin, morphine and more are increasingly popular among students. Addiction to these substances, however, often starts out by accident. Sport-related injuries, wisdom teeth removal surgery and other procedures that young adults may undergo often require stringent painkillers. For some students, this can lead to a dangerous dependence that has the potential to elevate to full-blown addiction. For other students, prescription painkillers are used specifically as a means to get high. Because prescription pain medications are regulated and produced legally, they are often thought of as “safer” alternatives to illegal opioids like heroin. However, they can be just as addictive and dangerous. Prescription opioids are an issue for the entire state, not just youth. But Ohio is fighting back to turn the tide and protect residents. A recent lawsuit filed by Ohio Attorney General Mike DeWine states that roughly 20 percent of Ohioans have a prescription for opioids. The lawsuit, aimed at five large opioid manufacturers, aims to protect citizens from the addictive substances. The state has taken other measures, including passing legislation in May of 2017 limiting the supply of opioid prescriptions to seven days for adults and five days for children. Because Ohio leads the country in opioid deaths, proactive legislation is a key factor in curbing the trend. For students, it means decreasing and limiting access to prescription opioids, which are often the gateway to heroin use. Because heroin is often cheaper and more widely available, many opioid-addicted students turn to the illicit substance as an alternative. While some parts of the student experience are rites of passage, college drinking and drug use don’t have to be. These substances can all lead to addiction and lifelong heartache for family, friends and those struggling with substance use disorder. 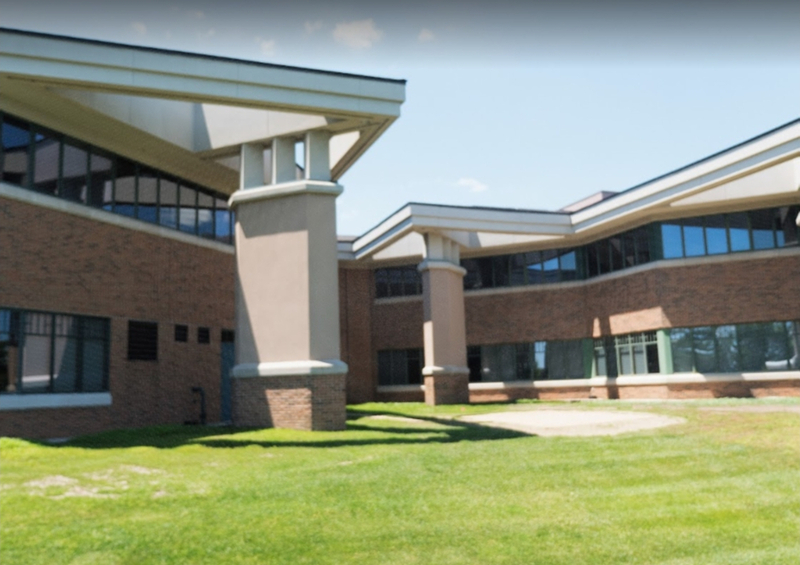 There are many resources available throughout the state of Ohio, including The Recovery Village Columbus, a centrally located rehabilitation center that treats addiction and co-occurring mental health disorders. The 52,000-square-foot center helps adults age 18 and older realize their full potential by examining the underlying causes of addiction and safely stepping away from drugs and alcohol. To learn more about treatment or get answers about substance use disorder, call The Recovery Village Columbus.